During the past hundred years ideas about the nature and origins of Middle Eastern and Classical religion and mythology have lurched between two extremes. To begin with we have the Pan-Babylonian theories from the early twentieth century which saw star lore as the prime mover for human religious ideas. When we get to the middle of the century this was replaced with the theories of Freud and Jung about the byproducts of the subconscious mind and their control of symbolism and mythology. These psychiatric opinions have become increasingly discredited in recent years and the role of ancient astronomy is becoming more apparent. Various books have appeared which seek to redress the balance, such as Giorgio de Santillana and Hertha von Dechend’s Hamlet’s Mill and, in a different context, Jane Sellers’ The Death of Gods in Ancient Egypt, but, while interesting and suggestive, the narrow focus on the interpretation of a limited range of literary and visual evidence presented in these is unlikely to sway the sceptic. Foxes from the Gods presents a detailed, longitudinal study of fox symbolism which covers a wide range of physical, literary and statistical evidence. The numerous parallels between these distinct sources over five thousand years highlights the role of astronomy in Sumerian, Babylonian, Persian and Greek cultures and reaffirms elements of the Pan-Babylonian story in a modern form. The cultural history of the fox in the Western world has left a distinct legacy in the spheres of symbolism and mythology which has resonances far outside the behavior and natural history of a particular animal. This is the only authoritative book on the subject. Kolb’s erudition may be specialised but is obviously enormous and ranges across vast swathes of the ancient world; but the learning is lightly borne and he writes in an easy and frequently entertaining style. 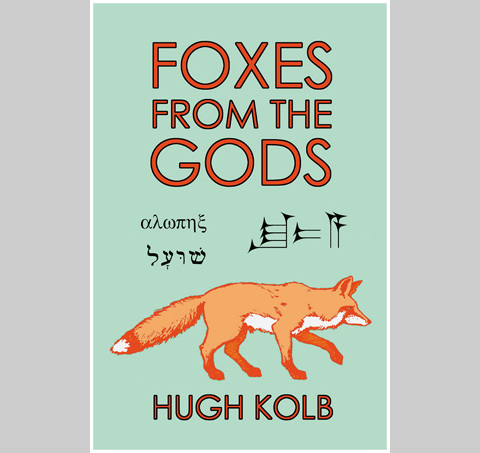 Even if foxes may not be your special area of interest, this is a splendid work for anyone fascinated by symbolism, myth and the history of ideas.